Implementation period: 01.02.2014. – 31.01.2020. Antimicrobial resistance (AMR) is a major public health threat. Infections caused by resistant bacteria are increasing and causing Europe to face soaring costs both in terms of lives and public health expenditure. Despite the strong need for new antimicrobials, very few new, effective antibiotics have been brought to the market in the last decades. The ENABLE project, within Innovative Medicines Initiative’s New Drugs for Bad Bugs (ND4BB) programme, is working to advance the development of potential antibiotics against Gram-negative bacteria, such as Escherichia coli. The ultimate goal of the project is to develop attractive antimicrobial candidates for testing in the clinic, bringing the possibility of new antibiotics to treat Gram-negative infections one step closer to patients. This collaborative project creates and manages a drug discovery platform for testing and optimising molecules. 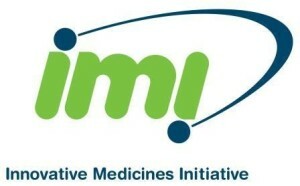 Industry and research organisations with interesting molecules and programmes can join the ENABLE project as partners and work with a diverse range of experts in microbiology, pharmacology and chemistry to help advance their molecule through the drug development process until it is an attractive candidate for clinical testing. Programme owners retain full ownership of their molecules to ensure optimum future commercial development. Since its launch in February 2014, ENABLE has received over 60 expressions of interest from EU-based organisations with anti-infective programmes who wish to become part of this pan-European project. Over 10 programmes were selected by the ENABLE Portfolio Management Committee (PMC) to join the consortium and novel applications will be received until 2018. The project will focus on the discovery and pre-clinical stages of drug development, as well as (potentially) phase 1 clinical trials. • Processing at least one compound into preclinical and phase 1 clinical studies, i.e. early clinical safety testing in humans.